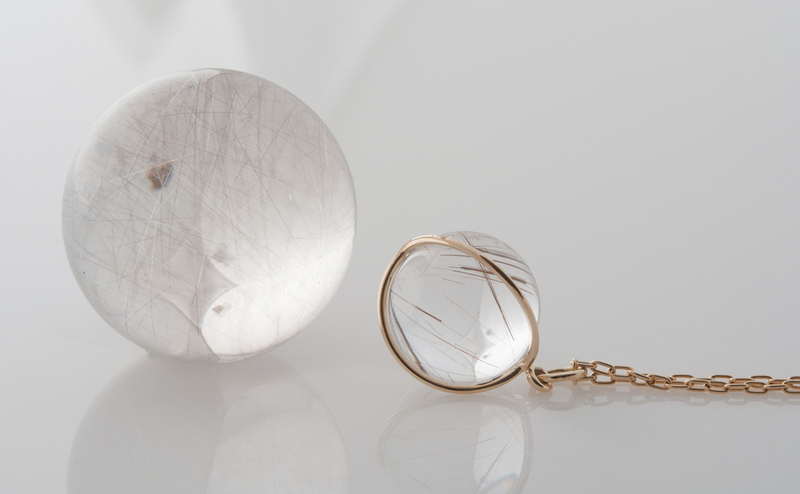 Our signature orb pendants have been a mainstay since the beginning, but one of the most coveted gemstones we offer, rutilated quartz, has become very scarce in the marketplace in the last several years and is difficult to source. The quality we like best has very clear quartz matrix and fine gold or silver needle-like inclusions of the mineral rutile. We’ve searched far and wide, and at last located located some spectacular rutilated quartz rough to be shaped into spheres for our orb pendants. We're happy to report that we now have the pendants available again in our store. Browse our growing and eclectic new mix of ring offerings, with many alternative engagement and wedding options to express your one-of-a-kind personality and relationship.